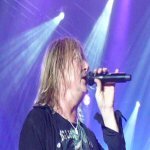 Def Leppard members Joe Elliott, Phil Collen and Rick Savage recently talked about the band's plans for 2014 recording and touring. 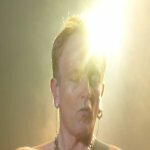 All three talked about the band's plans for 2014 in one of the clips shown during the AXSTV Day Of Hysteria special on 29th December 2013. Joe - "What's up next for the band? well in 2014 we, the five of us are getting together in February to do a bit of writing which is great." Phil - "We're really excited we're actually going back in the studio in February." Sav - "You know it'll be great to just get back together again as a unit. We miss being you know just the five of us being together. That's gonna be fantastic. And then we're gonna be looking to get out on the road in the summer of 2014." Phil - "Without blowing our trumpet I think we're the best live rock band out there. So it's a joy to see people react to the fact then when we're really - you feel this great energy and everything. So we love that but we're very proud of our live show. So we put a lot of energy into that." 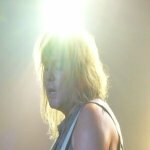 Sav - "There's always stuff to do we're always writing so when you're writing all the time some of it is absolute rubbish but the good bits need to be recorded."